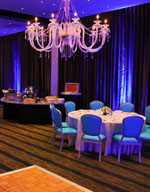 Las Vegas weddings need the perfect hotel to accomodate their guests. Many of our listed locations offer special wedding packages, so book now! 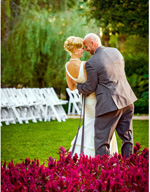 Whether you are a Las Vegas local or a destination wedding, you will want to find accomodations for your wedding guests. 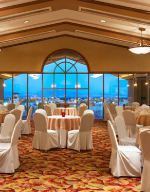 Many of the hotels listed here are also know for wedding receptions. Your guests will be able to safely go from the reception to their hotel room after the reception. 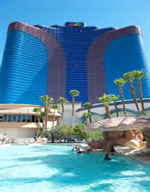 There are a large variety of Vegas hotels to choose from to suit the taste of all your guests. Caesars Entertainment can create your Happily Ever After. Surrounded by neon lights and excitement, in the heart of the Las Vegas Strip, it's your day to dazzle and we have a host of specialists devoted to ensuring the wedding of your dreams. Multiple beautiful properties to choose from. At the JW Marriott Las Vegas Resort & Spa, we offer key components which will make your wedding, whether intimate or grand, a memorable occasion for you and your guests. The Resort features 54 acres of lush grounds. Allow our staff to help you plan your Ceremony and Reception in one of our 8 unique reception venues. Palace Station Hotel & Casino recently completed a $192 Million property modernization! We offer unparalleled attention to every occasion. Our event professionals are prepared to help you plan a memorable celebration from start to finish, offering several options including floral, entertainment, photos, and more! The Suncoast is a perfect place to make the lasting commitment. 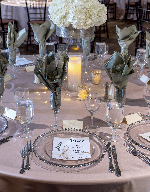 Let our experienced team of professionals coordinate all of the events of your big day. With ideal photo opportunities and white glove service, the Suncoast is the cornerstone for starting your life together. Visit our web site today! Nestled along the banks of Las Vegas on Montelago Blvd., our newly renovated Resort & Spa has a modern interior to a classic-inspired resort. Our coveted lakefront location provides stunning water and mountain views that will capture your senses and provide you and your guests with a romantic, scenic, secluded location. The Grand Entrance to the Downtown Las Vegas Party…The Downtown Grand Hotel & Casino lets you create an event as unique and stylish as you are. Whether it’s an extravagant poolside event on our Citrus Grand Pool Deck or an intimate affair in the famed Las Vegas or Fremont Rooms, the Downtown Grand offers customizable, chic boutique experiences with plenty of Las Vegas flair.